Wye Filter has more surface area than the T-filer and requires less cleaning. 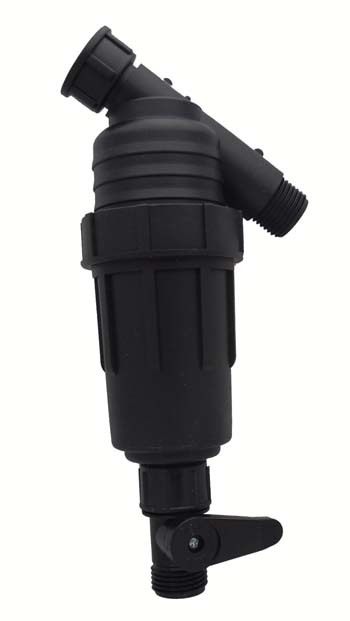 It has Female Hose swivel on the inlet for attaching to a faucet or end of a hose, Male Hose thread on outlet. To flush out the 200 Mesh stainless steel screen filter, simply open the valve and flush. Close the valve after flushing.